Come on short sea expedition of idyllic islands on the western seashore of Norway. Experience panoramic views from the sea as well as from land as you travel from Alesund to Godoy and then Alnes on this exciting tour that combines a high-speed ferry ride and a bus expedition. This is a great tour for anyone who loves adventure and sightseeing. Your 1-hour long expedition kicks off at the Ålesund high-speed ferry terminal, Skateflukaia (close to the Tourist Information office), where you will meet your FRAM guides and prepare to board the high-speed ferry. The first part of your day tour will be a high-speed ferry ride. You will sail from the ferry terminal at Skateflukaia in Alesund via Godøy and towards Alnes. Your exciting cruise will be filled with astonishing views of the expansive sea on one side and stunning shorelines, islands and islets on the other. Godøy is a little island in the Giske Municipality in Møre og Romsdal county. It is famous for its attractive nature and its regal mountain. From Godøy, you will sail to Alnes. 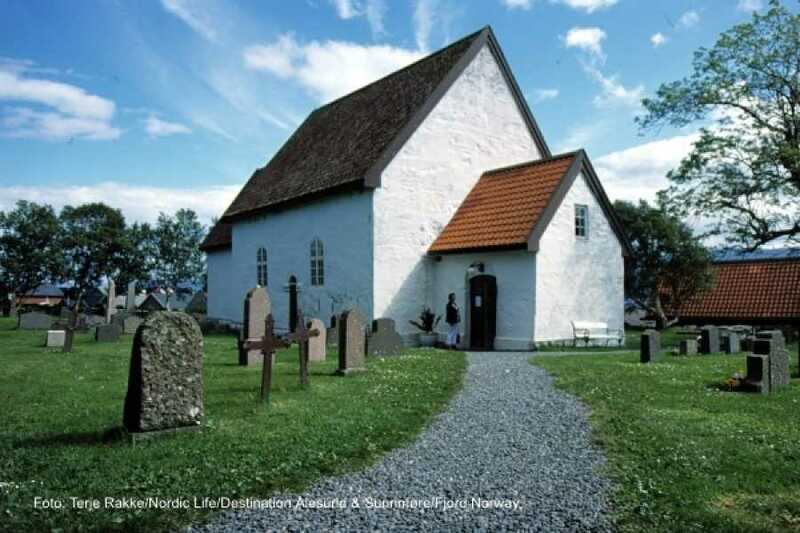 Alnes is a charming small village located on the north side of Godøya. 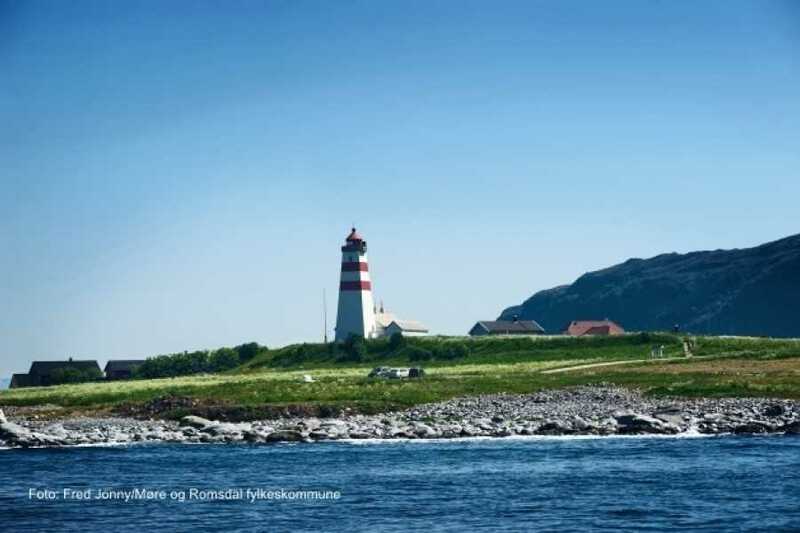 Alnes boasts a magnificent seascape that offers gorgeous vistas in the summer. 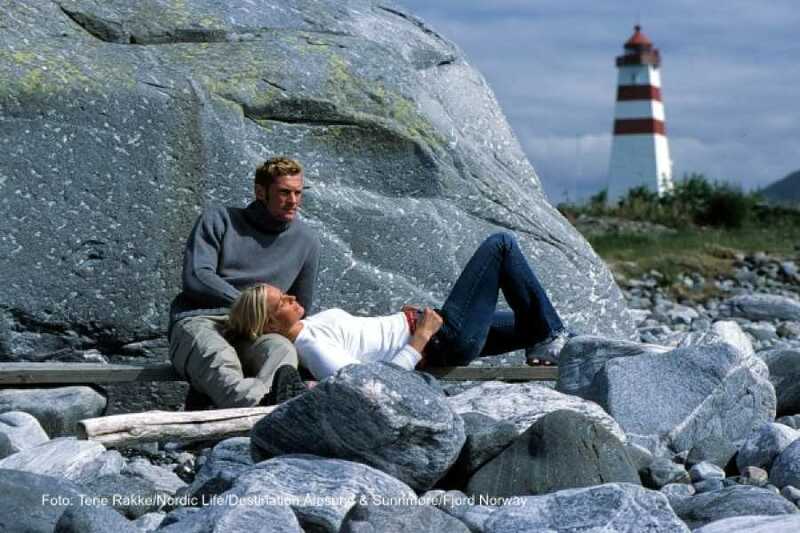 We recommend a visit to the famous Alnes lighthouse. This historic lighthouse was built in 1852 to guide fishing boats safely to the harbour. At the Anles lighthouse, you will enjoy the permanent watercolour and sketches by the famous local artist, Ørnulf Opdahl. 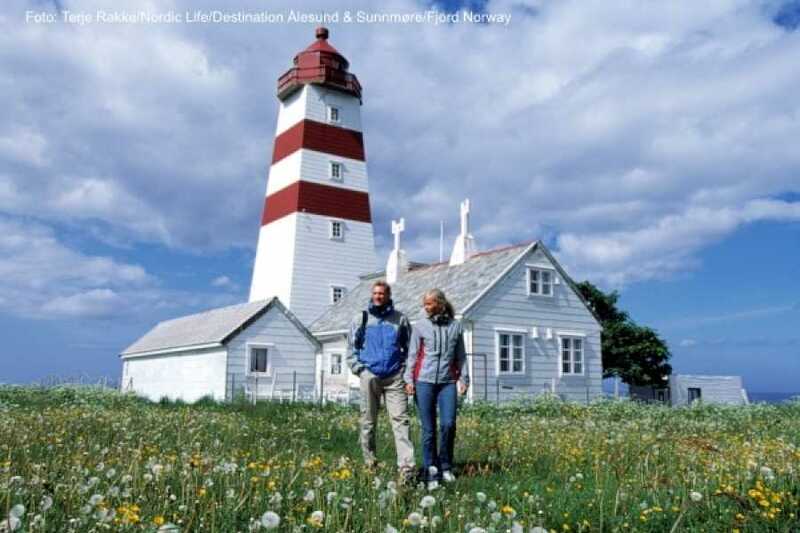 If you visit in the summer, you will have a chance to visit the lighthouse keeper’s house and view an exhibition about the history of the Alnes lighthouse. You can also visit the summer café and enjoy more temporary art exhibitions. We also recommend a visit to the new Alnes cultural centre that is open throughout the year. Here you can enjoy local delicacies like homemade cakes and locally prepared food. There is an art gallery by the Norwegian Coastal Administration showcasing the current activity at the lighthouse. Please confirm with your guides on opening schedules. The bus option for this tour is only available for a few days of the year from 7th July to 22nd July. Check for availability and book a spot on this thrilling journey exploring Norway today! Departure time : 09:55, 10:05, 10:45, 12:05, 12:45, 13:30, 14:05, 14:50, 15:00, 16:05, 16:15, 16:50, 17:05, 17:30, 18:05. In the periods 1st June-6th July and from 23rd July to 31st August, some of the trips go by high-speed ferry all the way from Ålesund to Alnes Lighthouse (Alnes Harbour) and from Alnes to Ålesund. See the time table to find out which departures are by boat only and which departures combine boat and bus. From 7th July to 22nd July, the trips will be by bus only.